For those that enjoy hiking on various terrains and require a pair of water shoes, there is a wide variety available. The main objective is to allow moisture to leave the shoe, which is great for boating. fishing and other marine activities. The best water shoes for hiking are the Merrell All Out Blaze Aero Sport, which features a mesh and durable synthetic upper half for maximum breathability. There is nothing worse than having to walk with damp shoes where water has collected inside them. Water shoes benefit from additional traction, better airflow and the all important drainage system that helps remove water from inside the shoes. Depending on the type of hikes that you intend on challenging yourself with may depend on whether you wear socks or not. The majority of water shoes for hiking are designed to be used with or without socks for maximum comfort. It is important to remember that water shoes for hiking are only really designed for shorter hikes that feature water paths. They do not provide the performance you will require for long hikes are are not as insulated for colder weather. Investing into a quality pair of water hiking shoes will be one that you will not regret. Below is a list of the best water shoes for hiking that provide excellent ventilation and tractions for long hikes. The Merrell All Out Blaze shoes are lightweight and comfortable and will keep your feet feeling great even when they get wet. They come in a few different color choices, and the low profile design is very utilitarian without being too bulky. The design is very breathable, but provides the support and cushioning that you need when you’re out on the trail for long periods of time. Here are some of the notable features of the All Out Blaze shoe. The Merrell All Out Blaze hiking shoes are great for long hikes where you might run into some water, but still need to be agile enough for tough trails. They are extremely breathable and perfect for keeping your feel feeling cool and dry. The Keen Newport H2 sandal is an excellent option for gentle hikes where you are going to encounter water or will be wading through streams and larger puddles. These shoes are very secure and comfortable, but they have an open design that allows water to flow through. Another benefit of the sandal design is that the webbing is completely washable, so it is easy to clean. The footbed is very comfortable and provides you with the support and traction you need when you’re out and about. Here are the notable features of the Newport H2 sandals. If you are hiking through water, this hiking sandal provides you with the breathability and flexibility you need while still being very supportive. The Newport H2 has a thick, supportive sole that will keep you stable even on uneven ground, and the lugs will provide you with the traction you need while you’re in the water. The Dreamcity water shoes is an elegant and stylish design that is breathable and will allow water to flow in and out of the shoe as necessary. They are very lightweight and don’t have the clunkiness that you might expect from a hiking shoe. This means they are great if you don’t like that restrained, uncomfortable feeling. There is a variety of sleek color options and would go with any hiking outfit you may want to wear. Here are some of the notable features of the Dreamcity water shoes. These lightweight water shoes are excellent for wet hiking environments. They have a comfortable fit that feels soft and supportive. The Dreamcity water shoes are also very aesthetically appealing, something you don’t often find with hiking shoes. The Drainmaker III shoes are sporty, stylish and lightweight enough to take you hiking or running in virtually any conditions. They are made completely of mesh that allows your foot to breathe and drain out water much easier. The shoes are very durable and well-padded, so it will support your feet and keep you in the proper alignment as you are hiking. Here are some of the notable features of the Columbia Drainmaker III. These shoes are comfortable with and without socks and have a nice low profile. 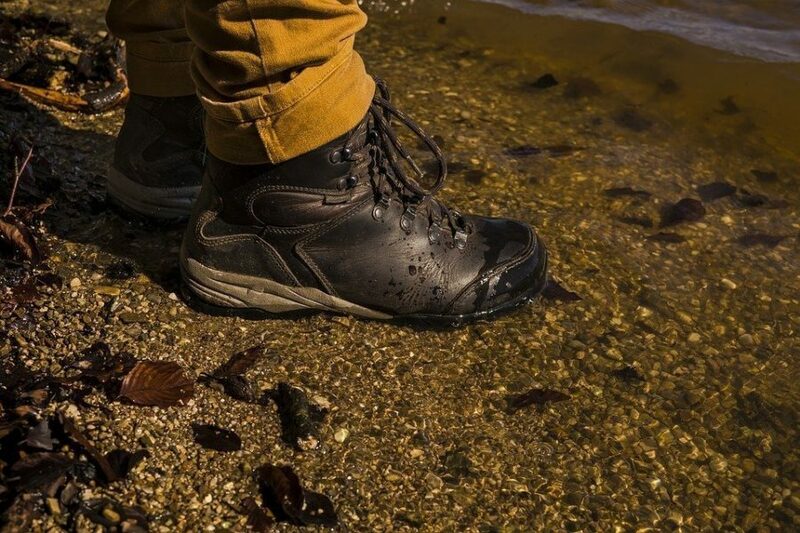 The Drainmaker IIIs are a great investment for anyone who requiring water shoes for hiking but they may be fairly cold during wintery hikes. The Terrex Climacool Voyagers provide the style that you would expect from the Adidas brand, but they have all the functionality you need in a water shoe. They are made completely from textiles with plenty of open mesh for breathability. They are also very stable and provide the grip your feet need for uneven terrain. Here are the other notable features of the Adidas Terrex Climacool Voyagers. These shoes are comfy and stylish enough to wear in your everyday life, and they are particularly excellent for anywhere where you will be wading through the water. If you like the style of the Adidas brand, you will be sure to enjoy these shoes. 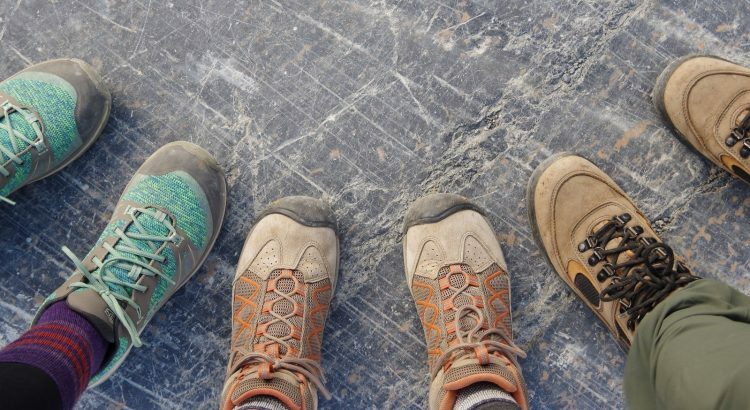 Just buying hiking shoes alone can be tricky, but it’s even more challenging if you need shoes that are going to be comfortable in wet environments, like hiking along the beach, near a stream, or even just in an area where it rains frequently. Luckily, there are many brands that make hiking shoes that are specifically designed for this challenge. Here’s what to look for when selecting water shoes for hiking. It’s important that your shoes provide the traction that you need to handle any type of terrain. This is essential for any hiking shoe, but it’s particularly important for shoes that are designed to be worn in wet weather. Look for a pair of shoes that have lugs on the bottom in opposing directions. This will prevent you from slipping and give you more control while you are out on the trail. The most important thing when choosing water shoes is that they are breathable. Most water shoes are made using an open weave mesh, which has larger holes that allow air to flow in and out easily. These holes also allow water to flow in and out, which helps them dry quickly after they’ve gotten wet. This is the opposite to boat shoes, which will not have suitable drainage to allow water to exit the shoe. Look for shoes that have a soft, comfortable mesh that will prevent your feet from getting stuffy, regardless of the temperature. This is very important if you’re going to be in the water, because a moist environment is an easy breeding ground for bacteria. A breathable mesh will also prevent unpleasant odors from developing. When you’re hiking or even just walking around town, it’s important that you have some arch support to keep your feet in alignment. Without arch support, your feet will likely start to ache after a while, and you will be more prone to injury in the long run. The amount of arch support you need depends on the structure of your feet – people with higher arches typically need more than those with flat feet. When choosing shoes for hiking, it’s important to look at the type of support the provide. Good arch support will help your feet feel more comfortable while also helping the shoes feel more sturdy as well. You never know what you are going to encounter when you’re out on the trail, particularly if you are in a wet environment. Because of this, it’s important that you find a pair of shoes that will keep your feet safe from debris or terrain that could damage your feet. Take a look at the material of the outsole – it should be thick enough to prevent any debris from getting through. Many hiking shoes also have a reinforced toe, which protects your foot if you collide with any rocks or other obstacles while you are hiking. It’s important that the shoes you choose feel nice and comfortable, so you can wear them for a long period of time while you are working out. They should have a good fit that won’t squeeze your feet or rub and give you blisters. They should also feel very soft, cushy, and supportive, and the fabric should feel pleasant against your feet. Some people choose to wear socks with water shoes, while others wear them without socks. It’s up to you – most water shoes are designed to work well either way. If you can, you may want to try the shoes on in a store to ensure that they fit your feel comfortably before you make a purchase. It’s always helpful to have a shoe that’s very easy to get on and off. Look for water shoes that have a lace system that is easy to do up and won’t get tangled easily. Your laces also need to stay in place – they shouldn’t be slippery or come loose as you are hiking. To make the shoes even easier to get on and off, many hiking shoes also come with a pull tab that sits at the back of the heel. The design of the shoes is another important factor to look at when you are shopping. You want shoes that are not only functional, but also aesthetically pleasing. The shoes also need to be versatile enough to wear with many different outfits – you may find that you want to wear them during daily workouts or even running errands in addition to going hiking. Look for shoes that are lightweight and don’t look too clunky on your feet. You should also make sure they are in a color and design that you like. Waterproof hiking shoes are a good investment for anyone who spends a lot of time outside in areas that are very damp. While they aren’t always the best for extremely long hikes, they are very beneficial for very specific weather. When choosing shoes for hiking in water, it’s important that you find an option that is going to keep your feet comfortable and dry. These shoes are also very versatile, perfect for people who like to fish or even just walk along the beach or riverbank. 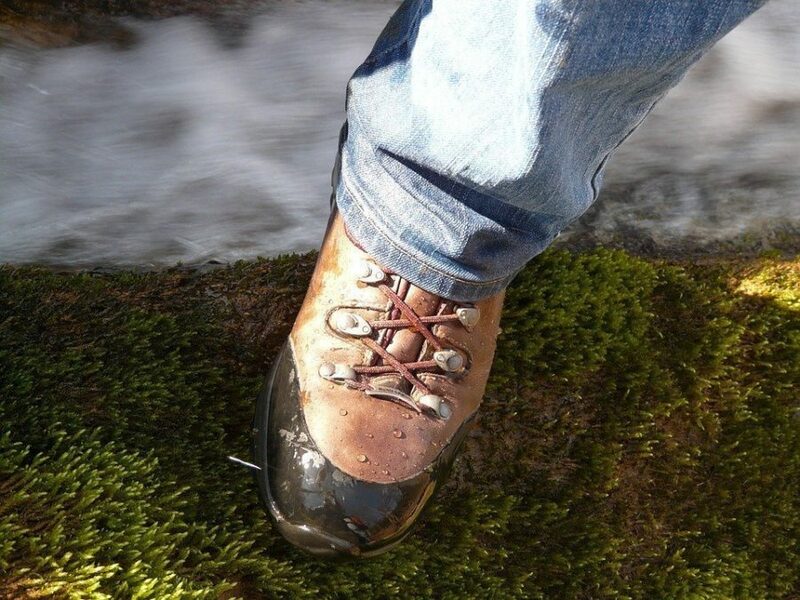 All of our recommended water shoes for hiking cover a range of styles, budgets and sizes. Therefore, you should be able to find a pair suitable for your requirements.